“Principal’s Corner” is a regular feature in the Sierra Sun, in which a principal from a Tahoe Truckee Unified School District school shares news and events happening at his or her school, as well as any information that may impact the students, staff or families of that school. 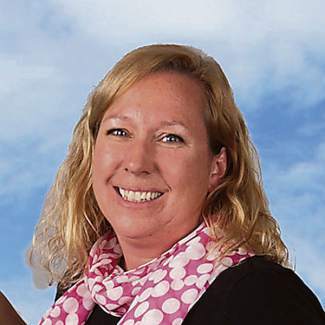 This month, we feature Stephanie Foucek, principal of Tahoe Lake Elementary. TAHOE CITY, Calif. — If you’ve ever been to a class play in our Little Auditorium, gone on a science investigation with a grade level, heard a book read in our cozy library by Ms. Verutti, toured our classrooms to see the smiling faces of active learners, heard the laughter on our lake view playground, or celebrated a great year with us on Discovery Day, you know that Tahoe Lake is a wonderful school for students to learn and grow. Tahoe Lake is a hands-on science school where every teacher provides a dynamic, hands-on science curriculum for our students. 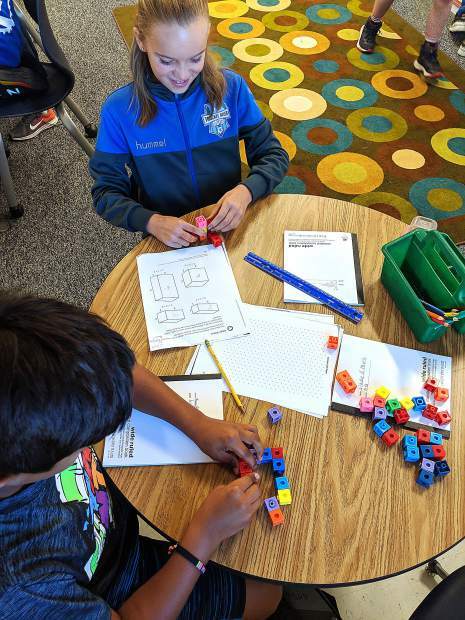 We know that students learn best when they are engaged, so our focus is to make science concepts relevant using Lake Tahoe’s natural environment, and to lay a solid foundation for our students to become highly skilled problem solvers and critical thinkers as they grow. Being in Tahoe means that outdoor learning opportunities are myriad. Just stepping out the classroom door our students are able to observe, measure, and predict in connection with scientific concepts. We believe that a solid foundation in the sciences poises our students for great future accomplishments and the ability to be successful in a rapidly changing world. Through our science focus, students have many “in the field” learning opportunities. Students raise and release Lahontan Cutthroat Trout, visit Taylor Creek to study the Kokanee Salmon, plant native plants in our garden, and design bikes to develop geometry skills. All students have a wide range of unique learning opportunities, including creating moon and lightscapes, hatching chickens and engineering houses to house them, stargazing with a high power telescope and expert guidance from the Astrology Department at UNR, and participating in the “Get in the Act” Science Theater. It is so exciting to hear our students talk about, experience, and master science standards with a new awareness. You may have seen our California Distinguished Schools flag proudly displayed on campus. The California Distinguished Schools program honors California’s most exemplary and inspiring public schools, and Tahoe Lake is thrilled to be among the honorees. Tahoe Lake was named a 2014 California Distinguished School based on our continuing growth in student achievement for all students and our signature practices in science and targeted instruction. It is a great honor to be named a California Distinguished School, and it gives recognition to the amazing work our students and teachers do every day. We are extremely grateful for our community’s support of Measure A through which our PE, Technology, Music, Library, Arts For the Schools, Counseling, and Special Friends programs are funded. In PE, students learn Peaceful Playground, basic athletic skills, and team sports, and they participate in such fun events as the Tahoe Lake Olympics and Jump rope for Heart. All classes also cross-country ski at the Tahoe City Winter Sports Center when conditions permit. Our technology classes are integrated with the curriculum and extend student learning with a special focus on literacy development through technology. In music, our students learn voice, instrument, and cultural awareness, and perform in two school-wide shows per year. Our cozy library is in the historic core of our school and offers a wonderful space to foster a love of reading. Our library collection is current and always growing; whenever a student requests a new book, it always appears. We are also fortunate in TTUSD to have elementary counselors and the Second Step program to support our students’ social-emotional needs. Tahoe Lake is so grateful for our dedicated and supportive community of families who volunteer in the classroom, on field trips, in the library, on the playground, and with PTO and Site Council. We have many family events such as Family Reading Night, Family Science Night, Family Movie Night, the Talent Show, Winter Musical, Spring Musical and Family Picnic, and our end of the year celebration, Discovery Day. We would like to extend a big thank-you to our community for the recent passing of Measure E.
We look forward to the modernization of our school building while preserving our historic core so that Tahoe Lake will continue to foster the growth of great students in the heart of Tahoe City.